The story of the Nike Zenji. Nike has changed the name of a new sneaker after realizing the potentially racist implications of its name. 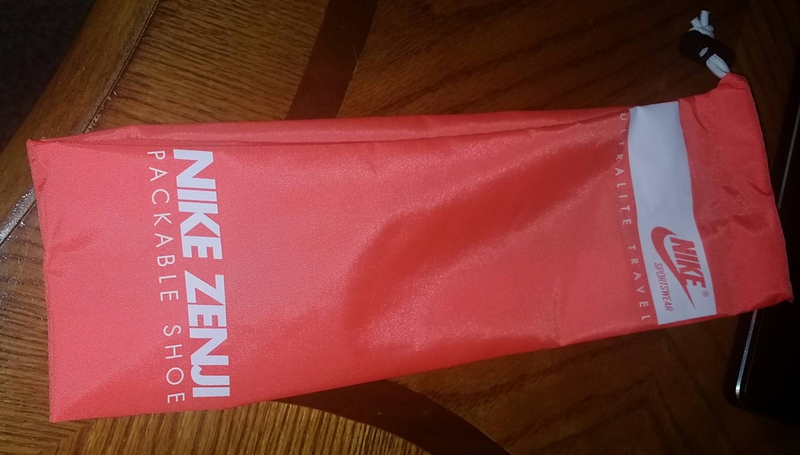 The packaging for the offending shoe, previously known as the Nike Zenji, is pictured above. Apparently the shoe's name sounds like an Arabic slur akin to the n-word. The similarity was called out on Reddit's R/sneakerheads, where user traviskvach7 noted that retailers had been forced to change the labels on the sneakers' boxes and toss out the "Zenji" bags that accompanied the shoes. The new name for the sneaker is the Nike Juvenate. Nike has already changed all instances of the word "Zenji" on its website to "Juvenate." Nike accounts selling the sneakers have done the same. In chatting with a Nikestore customer service representative about the shoe, the explanation was given that, "We have made a business decision to rename the Nike Zenji collection of shoes. Moving forward, the collection will be called the Nike Juvenate." "The name for the Nike Zenji was derived from the Japanese word for Zen master, as the simple and lightweight design of the shoe is inspired by the idea of achieving a Zen-like state. Unfortunately, we were unaware that the word 'zenji' also takes on a derogatory meaning when pronounced in Arabic. As soon as we became aware, we took immediate action to rename the shoe the Nike Juvenate. We apologize to anyone who was offended by the original name. No offense was intended." According to Nikestore, the sneakers will still come with the bags. Several pairs of the Nike Zenji with the offending box tags and bags are still available on eBay.